BENGALURU: Chairman of Manipal Global Education T V Mohandas Pai said US President Donald Trump has no clue about the existing scenario as he is trying to bring back ‘robotic’ jobs from China which wouldn’t help the US population. 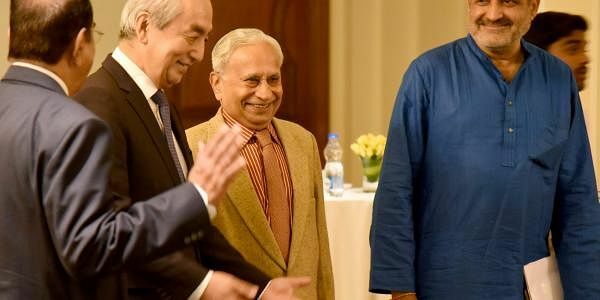 He spoke at an interactive session with the Japanese ambassador to India, Kenji Hiramatsu, on Thursday at an event organised by the Indo-Japanese Chamber of Commerce and Industry (IJCCI) and Asia Centre, Bengaluru. Hiramatsu said India and Japan enjoyed a special relationship. He spoke about the possible collaborations in various sectors, especially technology, industry and defence. He said the Prime Ministers of both the countries had a “high level of understanding” and were both action-oriented men. Touching upon the industrial collaborations, he said Japan had made sizeable investments in the manufacturing sector, especially in Bengaluru, and was looking to double the same over the next 3-4 years. He also mentioned the joint drill by navy forces of the two countries, and indicated such collaborations as important in light of “unstable elements in the region”. Pai started off by pointing out it was a good time to discuss Indo-Japan relations as globalisation was being pushed back across the world, and mentioned US, Brexit, France and Austria in this regard. Pai said, “In the past 15-20 years, only the higher income groups have benefitted from globalisation, while the people in the middle have remained unaffected.” He spoke about the disruptions in numerous sectors, and said in this scenario, it was imperative for India and Japan to work together. He voiced concern on China’s activities in the South China Sea and in India’s neighbouring countries. He added that India was in the middle of a demographic nightmare.